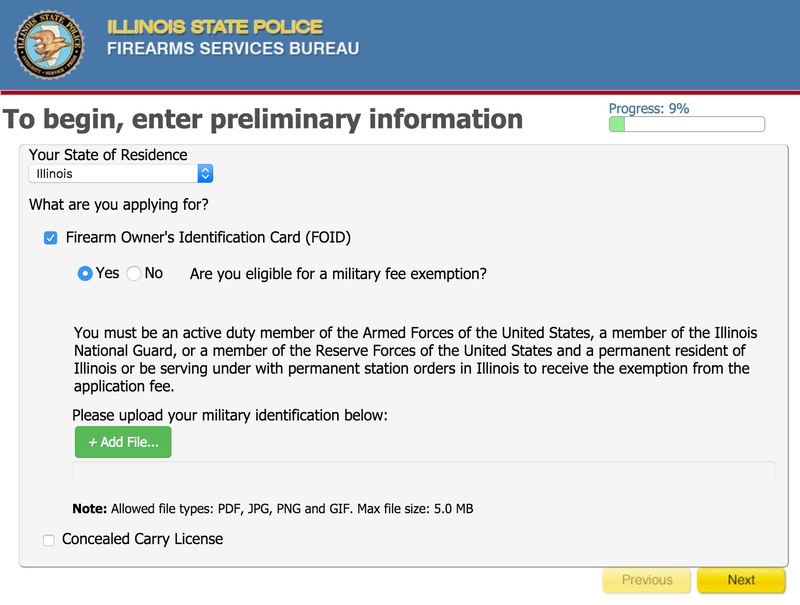 If you are an Illinois State resident you must have a FOID card to buy ammunition or a gun in any state. Its application is usually $10, but AD military members can get a waiver. Applications can be started here.